Giving and receiving gifts is so deeply ingrained in our societal behaviour that we hardly ever think about why we do it. However, we do tend to think of people that give us gifts more highly, regardless of whether it’s a friend, a colleague, a relative, or a total stranger. This seems to be the primary reason why our ancestors started giving gifts in the first place. While maintaining friendships or putting people into a symbolic debt evolved as the main motives to give gifts later on, it all started with a way of identifying whether another person is a friend or an enemy. If two groups of prehistoric humans met, one of them would have offered gifts to the other. If they accepted and reciprocated, it signified the start of a friendship, meaning the two groups could cohabitate. However, if they didn’t give something in return, the other group would have classified them as an enemy. Gifts have gained plenty of additional symbolic meanings throughout thousands of years of civilization, but they’re not the same in different cultures throughout the world. Sure, there are quite a few similarities, but it’s still wise to make yourself aware of the etiquette of giving and accepting gifts before moving to or visiting a foreign country. Of course, foreigners are usually given a bit of slack when it comes to understanding the local culture. Nowadays, you usually won’t be frowned upon if you don’t do things the way the locals are used to, especially in the areas where tourism is more prevalent. However, learning the proper ways of giving and receiving gifts will demonstrate to the locals that you value and respect their culture. Chinese culture is a gift-giving one – the act of offering and accepting a gift is held in very high regard. It’s considered somewhat rude to be empty-handed if your Chinese host gives you a gift. You should always reciprocate as soon as possible (if not instantly), since not doing that will put you in a position of debt in the mind of your Chinese acquaintance. It’s particularly bad in business situations, as a person who doesn’t give something back in return may be considered to be untrustworthy or simply disrespectful to the local customs. No gifts for people you’re very close to. In Western countries, people who receive the most thoughtful and elaborate gifts are our family and best friends. On the other hand, the Chinese rarely give gifts to their closest friends and relatives. Instead, they bring something for their kids or parents. Nothing too expensive. The Chinese always reciprocate for the gifts they receive – otherwise, they feel indebted to the person who gave the gift. So it’s a bad idea to offer a very expensive or sophisticated gift, as the recipient will be inclined to give something of a similar value in return. Cash is a great option. Although other types of gifts are welcome as well, giving cash or something that’s easily converted to cash is usually the safest choice, especially during larger festivities such as weddings. At least a part of the money can then be used to pay for the celebration. Red envelopes. The money is usually put into a red envelope which symbolizes good luck and wards off evil spirits. The envelopes are typically presented at family gatherings or national holidays such as the Chinese New Year. The money inside the envelope shouldn’t be given in fours, as the Chinese pronunciation for the word “four” sounds the same as the word “death”. In fact, it’d be better to avoid the number four appearing anywhere in the amount. Lucky numbers. Anything in sets of four is out of the question, but gifts given in sets of six or eight is an excellent choice. Six represents good luck in Chinese pop culture, while eight symbolizes prosperity. Colours to avoid. White and black are colours associated with mourning and funerals, so wrapping your presents in black or white coloured packaging might seem strange to the Chinese. Red is always the safest option, as it represents joy, fortune, and good luck. Good gift choices: money, wine, health products, regional specialties and souvenirs, peaches, tea. Bad gift choices: clocks, umbrellas, knives and other sharp items, handkerchiefs, mirrors, chrysanthemums, shoes, pears. Most Russians enjoy giving and receiving gifts a lot, so if you’re planning a trip to Russia, be sure to bring something for everyone you’re planning to meet. Although people in Russia generally spend quite a lot of money on gifts, it’s not necessarily so during the winter holidays. Russians have four of these every winter, so small tokens or humorous gifts are usually exchanged during this period. There’s one “big” winter holiday when more elaborate gifts are expected, but every family chooses it individually. For most Russians, it’s New Year’s Eve. So what should you know if you find yourself in a Russian New Year’s party or are invited to someone’s home for dinner? Gifts depend on the recipient’s gender. While there are a handful of gifts which can be appreciated by both genders, Russian men and women usually have different expectations. Women might not appreciate gifts which would seem too masculine – same goes for men and seemingly effeminate gifts. Always bring gifts for the hosts. Regardless of the occasion, it’s usually expected that the guest will come bearing a few symbolic gifts – flowers, chocolates, or wine for women and something a little stronger for men. Russians know their vodka, so choosing a different spirit might be a more interesting choice. Don’t forget the children. If the family you’re visiting has children, you should always bring them something as well. Sweets are a safe bet, but a small toy can bring a smile to a child’s face as well. Gift cards are better than money. In Russia and most Eastern European countries, cash is rarely given as a gift, especially to adults and the elderly. Gift cards for toy stores, book shops, cosmetics stores, or shopping malls are typically used instead. Know your flowers. Pink, cream, orange, and blue flowers usually come with no special meaning, so they’re safe to present to any woman (it’s very rare to give flowers to men). Red flowers might be understood as a display of affection, while white and yellow ones should be avoided because they’re associated with funerals and cemeteries. Good gift choices: wine or other alcohol, flowers, chocolates, towels, cameras, perfume, cologne, computer accessories, ties, cufflinks. Bad gift choices: jewellery, watches, purses, cooking accessories. India is another country which embraces its age-old gift giving traditions. While the gifts themselves have of course been touched by modernity, the rituals themselves have hardly altered throughout the years. For instance, one of the most popular gift giving celebrations in India is Rakhi – a day when sisters tie bracelets around their brothers’ arms, while the brothers promise to always protect them in return. While some kids wear bands with plastic animals or glow-in-the-dark beads instead of traditional hand-made ones, the ritual is still very much alive nowadays. So what should you know to avoid? Any gift-giving gaffes in India? No animal products or alcohol. India is a diverse country, but most of the population is either Hindu or Muslim. Cows are sacred in the Hindu religion, so presenting something made out of leather would be a huge faux pas. On the other hand, Muslims don’t consume alcohol, eat pork, or use any products made from pigskin. Sweets for the hostess. If you’re invited to an Indian home, you should bring something sweet for the hostess. Candies or baked goods are great, but you should make sure that no animal products or eggs were used to make them, as plenty of Indians are vegan. Colourful packaging. You should always package your gifts, and bright colours such as yellow, green, and red are the best options for the wrapping paper. Other, less vibrant colours such as black or white should be avoided as they’re considered to be unlucky. The latter one symbolises death, so you should steer clear of white flowers (especially frangipanis) as well. Money issues. Money is a common gift during Indian weddings, but the amount should always end with an odd number. So if you’re going to give $100, it’s usual to simply add 1 at the end, meaning the final amount should reach $101. No expensive business gifts. 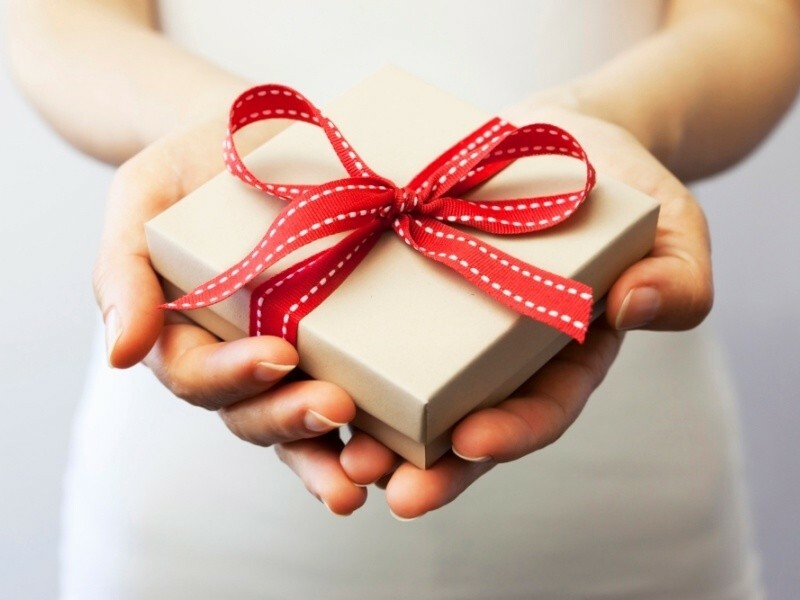 Giving gifts is illegal in some forms of client-business relationships, particularly if these gifts are too elaborate. These can be viewed as bribes in India, so giving them might result in some serious trouble with the law. Good gift choices: sweets, flowers, jewellery, money, electronic gadgets, household items. Bad gift choices: leather, alcohol, meat, frangipani flowers. Gift-giving is extremely important in the Japanese culture. In Japan, the ritual of giving gifts is much more important than the gift itself. You’re expected to politely refuse at least once before finally accepting the gift, while the person giving it to you will usually call it tsumaranai mon (a dull/uninteresting thing) no matter how extravagant it really is. If you’re going to Japan on a business trip, it might be a good idea to bring quite a few different gifts so you could always have one available in case you need to reciprocate. Once again, the value of the gift is not very important, it’s the thought that counts. However, if you’re dealing with different levels of employees at the same company, a senior one should always get a more expensive and “better” gift – that’s why you might find the first tip from our list really useful. Keep it private. A wrapped gift is usually carried in a shopping bag to minimize any hint that a gift will be given to someone, especially if it’s a meeting of a group of people. A gift for an individual should never be given in front of a group – you should make sure to find a private moment to present it. Watch your hands. A gift should be given with both hands, no matter how small it is. Even when you’re exchanging business cards, you should accept it with both hands and take a thorough look at the card before stowing it away in the case. Use simple packaging. All gifts should be wrapped, but most Japanese leave this task to the store’s or hotel’s gift-wrapping service. If you decide to do it yourself, make sure to use simple pastel wrapping paper without any bows. Brightly coloured paper or ribbons might be considered to be bad taste. Be careful with numbers. Four and nine are considered to be unfortunate in Japan because the pronunciations of the respective words sound like “death” and “suffering”. Three, five, seven, and eight are good numbers though, so three bottles of good wine can make an excellent gift. Avoid certain flowers. Flowers can make a great gift if you’re invited to a Japanese home. However, you should always avoid white flowers as well as any lilies, lotus blossoms, and camellias – all of them are associated with funerals. What is more, potted plants are thought to encourage sickness, so it might be a good idea to stay away from them too. Good gift choices: prestigious branded items, imported high quality alcohol, gourmet food, fresh fruit, cufflinks, anything related to the recipient. Bad gift choices: combs and hairbrushes, handkerchiefs, clocks, potted plants, anything sharp, glassware, mirrors, belts, shoes. As you can see, gift-giving has plenty of differences in each of the cultures we surveyed. So wherever you’re going on your next trip, it’s best not to assume anything and learn as much as possible about the culture and etiquette instead. This way, you’ll be quickly accepted and more appreciated by the locals – we’re sure that’s just the thing you’re looking for regardless if it’s a business trip or a personal one. If you are looking for a gift for your partner then you may also find our wedding anniversary gift giving guide handy. This entry was posted in PearlsOnly and tagged gift giving, gift giving etiquette, gift giving in China, gift giving in Japan, gift giving in Russia by PearlsOnly Team. Bookmark the permalink.